Apathy has been criminally underrated for what feels like eons. We thought the masses would get a chance to hear the Demigod when he signed to Atlantic a decade ago but that wasn’t to be. 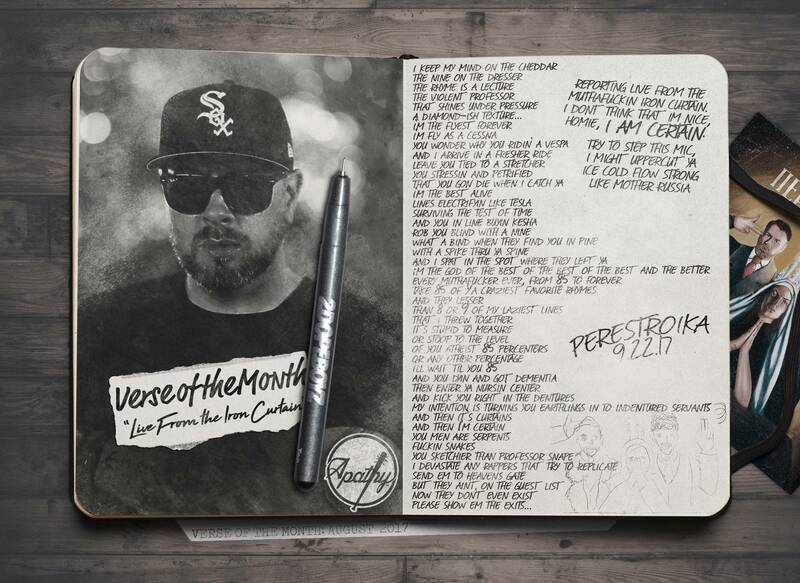 Fortunately, Apathy hasn’t lost his edge and his verse alongside the legendary O.C. on “Live From The Iron Curtain.” Ap opens up with a razor sharp flow and proceeds to deliver with visually intriguing bars that find Apathy chasing the enemy into old age and then punting their false teeth. There’s so much wickedness here from Apathy that it reminds those that have slept to go back through his catalog of dopeness. Apathy and O.C.’s Perestroika album drops September 22nd. Pre-order on iTunes or pick up a bundle pack at the Demigodz store.